What if being a good person was spendable? people always say you have good or bad "karma" based on your actions. But what if this was real. 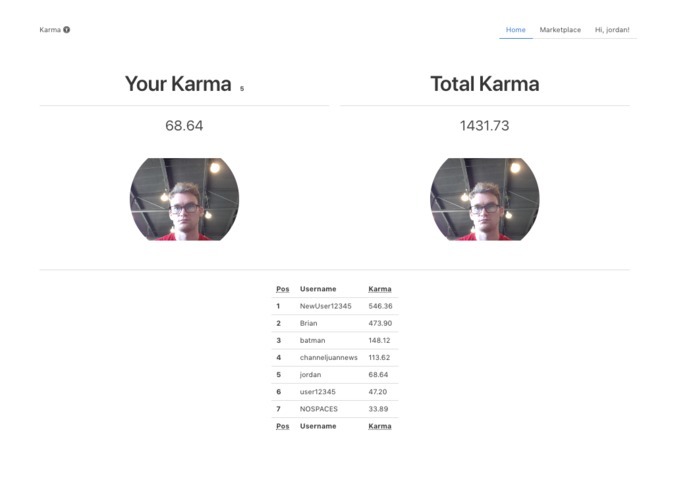 tracks a person's good doing using sentiment analysis and rewards them based on good actions. 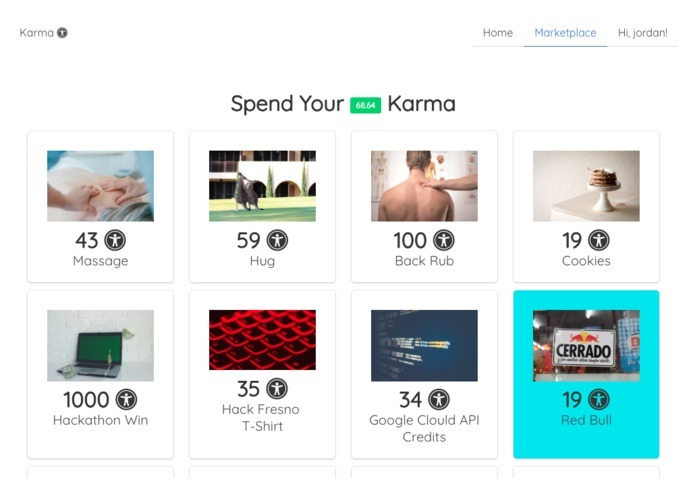 The person can then spend their karma on items or services in the Karma Market - all items are submitted by users wanting to reward others for doing good. not being able to get the transaction on a blockchain with a cryptocurrency. I worked on the UI, user module, and services. 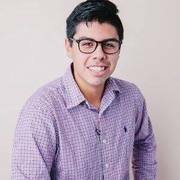 It was really fun using angular because the CLI makes development very speedy and promotes modular components that are easy to build with later.